On Sep 15, 2015, at 2 p.m. the "Eagle Asia 3" was in collision with the fishing vessel "Horizon-2" in the South China Sea in Pulau Marapas waters, southeast of Singapore. The fishing vessel sank, but the four fishermen were rescued by a Bantam rescue team. 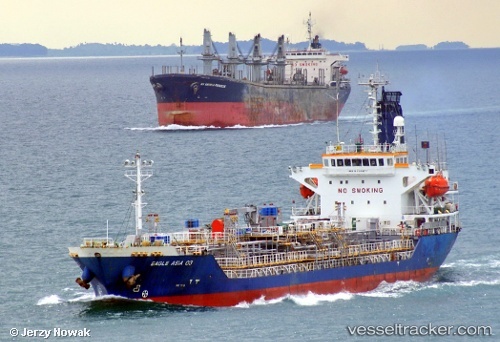 The tanker was en route from Singapore to Batam, the fishing vessel was underway to fishing grounds.